Kids of any age can enjoy this printable Tetris-like visual spatial puzzle. 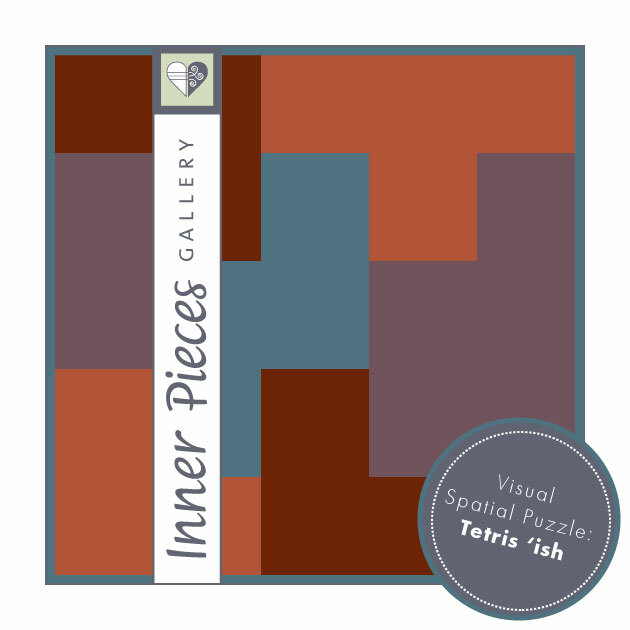 While Tetris puzzle pieces are made of combinations of 4 perfect squares and Pentominoes are made up of 5 squares, this Tetris ‘ish visual spatial puzzle consists of pieces in a variety of sizes. Help your child strengthen spatial reasoning, nonverbal problem solving, fine motor skills, attention and even memory. If you’d like to learn more about the benefits of visual spatial puzzles for kids click here. You can easily adapt this simple puzzle to any age. Hint: if it starts out too easy for your kids, give them an added challenge to help strengthen their mental muscles. Too frustrating? That’s no fun, and may be impeding their growth. Back the challenge down until they achieve success. • Print 2 copies of the 7 piece puzzle. • Help your child cut out the pieces of one copy. • Use the other copy as a template. Your child simply places the matching pieces on top of the original. • Cut out all 7 pieces of the puzzle. • Assemble them into a perfect square, with or without referring to the original. • Flip the pieces over so that they are all the same color. • Assemble them into a perfect square. • Place all precut puzzle pieces into a bag. • Choose one piece at a time. • Use the included grid to place each piece in the proper location based on your memory of the original. If you haven’t already, sign up for my newsletter below and let your kids give this printable visual spatial puzzle a try! With sign up you’ll receive blog updates including fun printable activities for the kids.